We’ve had such a great response to our first book, and one thing we heard time and time again from readers was how much they recognised the need to slow down and make space in their lives, and how hard they found it to actually do! Over the years, we’ve learned that practising really simple daily rituals helps us to press the pause button on the pace of modern life. 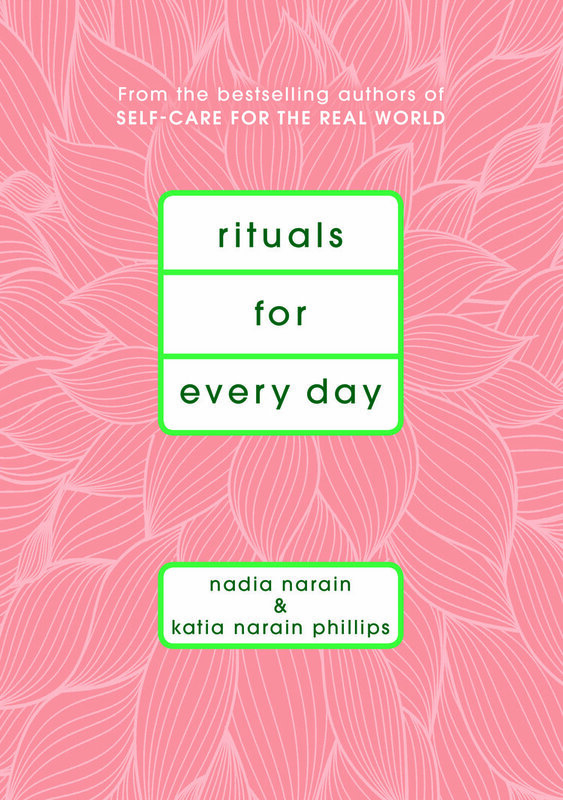 So in our new book, Rituals for Every Day, we’ve collected some of our favourites and we can’t wait to share them with you. Wellness pioneers Nadia Narain and Katia Narain Phillips have spent decades helping others to feel their best. But it took them a bit longer to learn to care for themselves. On their first book, they share the small, achievable steps they picked up on a lifetime’s journey towards self-care, and how you can apply them to your life, wherever you are.